This innovative new book brings together a number of different perspectives on aphasia, a communication impairment that can follow stroke. 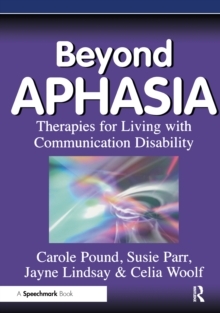 Contributors include people with personal experience of aphasia, as well as therapists, counsellors, educationalists, linguists and researchers who address issues of living with aphasia in their work. Whatever their perspective, whether personal, theoretical or professional, contributors reflect on and explore aspects of living with aphasia that have little place in conventional academic discourse. 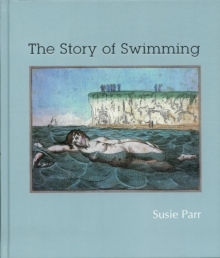 Accordingly, the chapters cover a range of issues, for example aphasia and the Internet, time and poetry. The diverse contributions are drawn together by an introductory chapter and a linking commentary. 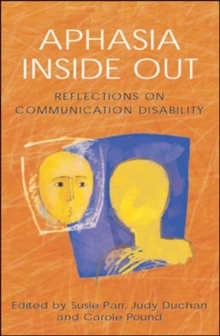 Aphasia Inside Out suggests new ways of thinking about aphasia, offers insights into the nature of the disabling barriers faced, and explores some creative possibilities open to people who live with communication disability. 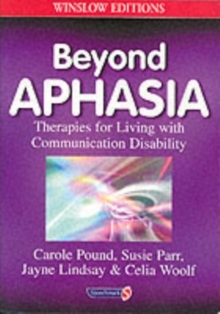 It will be a valuable resource for any professional or layperson who encounters aphasia in the course of daily life.